Rabbi Stephen Wise speaks at Madison Square Garden. Despite a history of providing sanctuary to persecuted peoples, the United States grappled with many issues during the 1930s that made staying true to this legacy difficult, among them wide-spread antisemitism, xenophobia, isolationism, and a sustained economic depression. For refugees fleeing Nazi persecution, America’s immigration quotas, established in the 1920s and sustained by popular and Congressional support, made it very difficult to enter the United States. 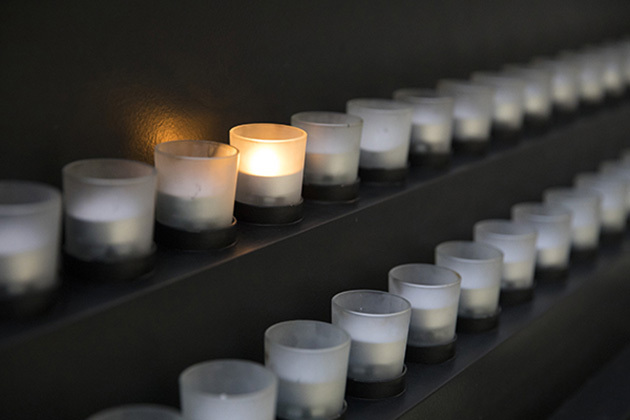 Over the years, scholarly investigation into the American reaction to the Holocaust has raised a number of questions, such as: What did America know? What did government officials and civilians do with this knowledge? Could more have been done? Scholars have examined America restrictive immigration measures, its reaction to reported atrocities, and its action (and inaction) to save European Jews. Debates have sparked over key events, including the voyage of the MS St. Louis, the establishment of the War Refugee Board, the role of the American Jewish community, the media’s coverage of Nazi violence, and the proposed bombing of Auschwitz. The topic continues to evolve with the introduction of new sources and revised hypotheses. This bibliography was compiled to guide readers to materials on the United States and the Holocaust that are in the Library’s collection. It is not meant to be exhaustive. Annotations are provided to help the user determine the item’s focus, and call numbers for the Museum’s Library are given in parentheses following each citation. Those unable to visit might be able to find these works in a nearby public library or acquire them through interlibrary loan. Follow the “Find in a library near you” link in each citation and enter your zip code at the Open WorldCat search screen. The results of that search indicate all libraries in your area that own that particular title. Talk to your local librarian for assistance. Presents transcriptions of over 60 letters and articles that appeared in American newspapers and magazines between 1933 and 1945. Chronologically documents American press coverage of the Nazi persecution of Jews and other victim groups. Includes a chronology of events, a list of questions for further consideration, a selected bibliography, and an index. Reproduces 176 original documents drawn from the Roosevelt Presidential papers, the U.S. Department of State Archives, and private collections. Traces Roosevelt’s actions in response to news of the persecution of European Jews. Includes a subject index and annotated listing of all documents. Reproduces ten original documents, including correspondence, interviews, telegrams, and official reports, related to the efforts of the War Refugee Board and American government officials to assist those attempting to flee Nazi persecution between 1943 and the end of World War II. Includes an introduction along with a detailed listing of documents. Presents a representative sampling of the Holocaust-related holdings of the archives of the American Jewish Joint Distribution Committee. Includes facsimiles of 255 original documents including correspondence with government agencies, pamphlets, and reports, covering the Committee’s efforts on behalf of Jewish refugees during World War II and displaced persons after the war. Includes a glossary of individuals and organizations mentioned in the text along with a summary listing of all documents found in the book. Reproduces over four hundred original documents concerning the efforts of the American Friends Service Committee, a Quaker relief organization, to assist refugees fleeing Nazi Europe. Documents are presented chronologically in two volumes, 1932-1939 and 1940-1945. Includes a glossary of individuals and organizations mentioned in the text along with a summary listing of all documents found in the book. A collection of original documents used to research the editor’s book The Abandonment of the Jews, reproduced from sources including the New York Times, Time, the Associated Press, and the United Press International. Also includes primary source materials from organizations such as the American Jewish Congress, the American Jewish Joint Distribution Committee, YIVO Institute for Jewish Research, and the American Jewish Historical Society. The author’s follow-up to My Brother’s Keeper, continuing a chronicle of the American Jewish Joint Distribution Committee’s (JDC) history. Describes the JDC’s activities and examines how the JDC reflected the American Jewish response to events in Europe during World War II, using a mixture of personal narratives and unpublished archival materials. Includes notes, a bibliography, and an index. Reviews the history of the American Jewish Joint Distribution Committee (JDC) during the ten years prior to World War II. Focuses on its efforts to assist European Jewry amidst escalating antisemitic hostility in Germany and Poland. Chronicles the development of JDC activities, from creating aid programs to facilitating emigration from hostile European countries. Includes an appendix on JDC expenditures for 1914 through 1939, notes, a bibliography, and an index. Continued in the author’s follow-up work, American Jewry and the Holocaust. A collection of essays aiming to document impartially the actions of the United States during the Holocaust. Addresses such topics as the political climate of the time, the role of Jewish leadership, and President Roosevelt’s position on matters of immigration and rescue. Provides notes, a bibliography, and an index. Compilation of twenty previously-published articles on the American response to the Nazi persecution of European Jewry. Covers public attitudes, government policy, and rescue efforts, addressing such issues as the journey of the St. Louis, the media coverage of atrocities against Jews, the proposed bombing of Auschwitz, and America’s role as bystander. Also touches upon American post-war policies for displaced persons. Includes notes and an index. Reviews the areas of scholarly interest concerning the United States and the Holocaust, including an assessment of the books on the subject available at the time of the article’s publication. A three-volume collection of previously-published articles and essays on the world’s response to the Holocaust. Focuses, in large part, on the American response, including the decisions made and actions taken by Franklin Roosevelt, the United States government, the American Jewish community, and the American media. Includes notes and numerous appendices. Reviews the role of the American Jewish community leaders in helping European Jews. Particularly examines the issues on which these leaders focused, such as armed Jewish resistance, immigration reform, and bombing the death camps. Largely based on information obtained from the archives of several major Jewish organizations. Includes notes, a bibliography, and an index. Describes the available primary source documentation concerning rescue efforts by U.S. government and military officials available in the National Archives. Identifies document collections with material about the emigration of Jews from Nazi Germany, the plight of the S.S. St. Louis, the Evian Conference, the Haavara agreements on emigration to Palestine, and other aspects of the American response to Nazi Germany and the Holocaust. Assesses the efforts to save European Jews by two American Zionist organizations, the Hadassah and the American Jewish Congress. Contrasts the administrative perception of events with personal experiences, basing this work on published documentation, organizational records, and the author’s recollections as a survivor. Includes chapter notes. Describes the legal aspects, press opinions, and the actual resettlement process for Jewish refugee children who sought refuge in the United States. Includes appendices, an index, and a bibliography. Discusses the United States’ restrictive immigration policy and its relationship to the effectiveness of Nazi plans for the “Final Solution.” Examines the political tension in the United States between resolving domestic crises and performing humanitarian acts abroad. Also assesses the actions of key individuals such as President Roosevelt, Breckinridge Long, and Rabbi Stephen Wise. Includes notes and an index. Examines the United States government’s reaction to the Jewish refugee problem, underscoring its failure to act on behalf of these individuals. Portrays the American government and Jewish leaders as equally unwilling to advocate for European Jews. Begins with an introduction to the restrictive measures against immigrants originating from the nineteenth century. Includes extensive endnotes and an index. Investigates the assistance of displaced persons by sectarian agencies, focusing primarily on Christian organizations created to aid the mass immigration of individuals from war-ravaged Europe. Discusses the influence these agencies had on immigration law reform and possible motives behind their efforts. Highlights the activities of agencies such as the Council of Relief Agencies Licensed for Operation in Germany, the Lutheran Resettlement Service, and the Church World Service. Includes notes, a bibliography, and an index. Originally published in 1968. Amasses and reveals evidence, including previously unavailable government documents, that characterizes the American government as apathetic towards the victims of Nazi atrocities. Discusses American involvement with and reaction to specific events such as the Evian Conference, Kristallnacht, and the voyage of the St. Louis. Includes notes, a bibliography, and an index. Chronicles the policies and activities of the State Department during World War II in relation to US immigration policy. Includes a list of principal people involved. Investigates American refugee policies from 1938 through 1941 by probing the societal influences that shaped them. Briefly surveys the political and economic situation during this time within the United States and other significant countries and evaluates how these factors influenced America’s ultimate response to the refugee problem. Includes appendices with statistical information, notes, a bibliography, and an index. Investigates the relationship between the execution of immigration policies by American consuls and any personal antisemitic beliefs they might have held and considers how these consuls were able to witness the persecution of the Jews without issuing visas to the fullest extent possible. Speculates as to how the United States was able to stay well below immigration quotas despite the high demand for visas, ultimately depicting the United States as a significant bystander of the Holocaust. Includes notes, a bibliography, and an index. Collection of 15 essays analyzing documents declassified under the 1998 Nazi War Crimes Disclosure Act. Describes what U.S. intelligence agencies were able to learn about Nazi crimes during World War II. Examines how some American corporations profited from working with the Nazis, and how information gathered by intelligence agencies was used to search for war criminals after the war. Includes a bibliography and an index. Describes how intercepted messages regarding plans to eliminate Jews and other groups designated as “undesirables” were circulated through the intelligence community and on to political leaders in the United States. Discusses how problems in relaying information about Nazi extermination policies and activities to senior officials affected the government’s actions. Attempts to answer questions concerning Allied knowledge of the “Final Solution,” evaluating documentation and personal narratives for the period between June 1941 and December 1942. Describes how disparate groups inconsistently shared information on the Nazis’ plans, addressing the distinction between obtaining information and relying on it enough to share with others. Includes numerous appendices, notes, and an index. Examines coverage of Nazi Germany and rumors of the “Final Solution” in the New York Times. Portrays the paper as hesitant to emphasize Nazi persecution and attempted destruction of Jews, instead choosing to focus on the overall war effort and the effect of Nazism on a variety of victim groups. Includes an appendix listing wartime front page stories concerning Jewish issues, along with an index. Traces the coverage of the Holocaust by the American press, examining the factors that influenced how the media handled reports of anti-Jewish violence and persecution. Describes the press as playing a vital role in the public’s interpretation of the situation in Europe, simultaneously resonating and shaping public opinion. Draws upon the coverage of such events as the passage of the Nuremberg Laws, Kristallnacht, and the Anschluss. Provides notes and an index. Analyzes the portrayal of the persecution of European Jews in American Protestant publications from 1933 to 1946. Examines how the content and presentation of contemporaneous news articles regarding the Holocaust influenced the perception of these events by Protestant Americans. Includes an appendix on the fifty-two publications examined, a small glossary, notes, a bibliography, and an index. Uses primary sources to examine the nature of President Franklin D. Roosevelt’s actions regarding the Jewish community during World War II, arguing that FDR was neither a savior of the Jews nor a inactive onlooker but rather a politician with multiple, sometimes contradictory priorities. Criticizes the efforts made by the Roosevelt Administration to end the suffering of European Jews. Identifies the President’s own ambiguity towards the situation as a major factor shaping the American response. Illustrates how the Administration labeled this crisis a low-level priority, suggesting that the United States government acted indifferently towards Nazi policies and the Holocaust. Includes notes, a bibliography, and an index. Documents the efforts of the U.S. State Department, under pressure from American and British intelligence agents, to undermine the proposed exchange of German prisoners of war for Jews in the Bergen Belsen camp. Examines how the Allies, including the United States, dealt with information regarding the Nazis’ campaign to exterminate European Jewry. Discusses the treatment of each new piece of information as it was learned, debating how each revelation could have been used to help the victims. Includes numerous maps and photographs, notes, and an index. A compilation of essays and documents regarding the frequently-debated question, “Why wasn’t Auschwitz bombed?” Explores Allied knowledge of Auschwitz, their interpretation of available information, and their ability to act on those conclusions. Presents arguments from numerous Holocaust scholars, including Deborah Lipstadt, Walter Laqueur, Henry Feingold, and Martin Gilbert. Reproduces important primary documents commonly used by scholars to research this issue. Includes biographical notes on the contributors and editors, a bibliography, and an index. A collection of essays and articles drawn from the 1993 conference, “Policies and Responses of the American Government Towards the Holocaust,” that attempted to profile the government’s key decisions affecting the fate of Europe’s Jews. Includes contributions from conference participants, as well as outside articles later deemed valuable for understanding important points covered during the conference. Provides extensive notes and an index. Attempts to refute claims that President Roosevelt was indifferent to the plight of Jews in Nazi Europe. Discusses the limitations on the Roosevelt administration’s ability to accept Jewish refugees, such as those aboard the S.S. St. Louis, and the reasons why the United States did not bomb Auschwitz. Includes a timeline of key events between 1933 and 1945, an extensive bibliography, and an index. Explores the question of how American diplomats in Nazi Germany reacted to increasing persecution of Jews throughout the 1930s. Utilizes official documents and private letters to describe the attitudes of State Department officials in Berlin regarding the plight of refugees attempting to flee Germany, anti-Jewish legislation, and Kristallnacht. Chronicles the dissemination of information about Nazi crimes to the Western Allies and their refusal to respond on behalf of the Jews during the Warsaw Ghetto Operation nor through a plot to bomb Auschwitz. Includes photographs of atrocities smuggled out of Poland during the Holocaust, endnotes and an index. Criticizes the reactions of Americans to the Holocaust. Reflects upon America’s indifference to word of Hitler’s plan to annihilate European Jewry, revealing the public’s cynicism and the government’s apathy in the face of this information. Also investigates the deficiencies of the War Refugee Board. Culminates with a chapter examining the proposed bombing of Auschwitz. Includes notes, a bibliography, and an index. Personalizes the Jewish refugee struggle against American bureaucracy through the story of Kurt Klein, a young Jewish immigrant laboring to rescue his parents from Nazi persecution. Interweaves Klein’s fight to bring his parents to America with a description of contemporary political and societal issues in America, depicting a relationship between these issues and the obstruction of American rescue efforts. 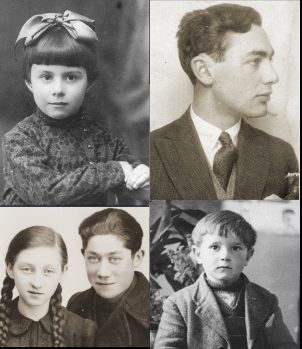 Interactive Web site documenting the work of the American Jewish Committee (AJC), including efforts to assist Jewish refugees fleeing Europe during World War II. Presents timelines, recordings of AJC radio broadcasts, historic films, television programs, and oral histories. Also includes the complete text of the American Jewish Year Books (external link) published since 1899. Tells the story of the St. Louis, a ship of Jewish refugees denied entry to both Cuba and the United States in 1939. Documents the Museum’s attempt to trace the fate of the ship’s 937 passengers, revealing the methodology employed to locate almost all of them. Includes a list of the passengers, animated video of the ship’s voyage, numerous photographs, primary documents, and a list of teaching resources. Summarizes the response of the American government to the Nazi persecution of Jews. Identifies how and when the United States learned of the systematic plan to kill European Jews, and describes the limited attempts made to facilitate immigration or rescue for those at risk. Includes numerous photographs and film clips. An annotated bibliography on the Fort Ontario Emergency Refugee Shelter in Oswego, New York, created by President Roosevelt in 1944 as a “free port” for a limited number of refugees to enter this country outside rigid immigration quotas. Includes citations for books, journal and newspaper articles, archival collections, videos, and Web sites about the camp.